« Shelving, Inc Awarded Top 25 Warehouse Blogs! Whether you operate your own retail business that wants to bring its fulfillment and ecommerce in-house, or you’re considering operating your own fulfillment center to offer shipping and distribution services to other businesses, there’s a lot to be said for operating a fulfillment center. What role will my fulfillment center be playing? The first and arguably most important thing to consider when first opening your fulfillment center is to completely understand the business role and position of your fulfillment center. Will you be reaching out to other businesses to serve their fulfillment and product-ordering needs? Is your fulfillment center an extension of your existing retail business? Will your fulfillment center be treated as part of your current business or are you going to operate it as its own entity? These are all questions to ask yourself before you get started on building out your fulfillment center. What type of fulfillment is my center accomplishing? Hopefully by now you’ve got a good enough handle on the operations of your own business that there’s no question as to your own operations, but the same can’t be said for your new fulfillment center. Will you be storing products as well as shipping them out? Is your fulfillment center only for proper tracking, packaging, and shipment of items as they head out into the world? What can you offer your customers that they (or you) can’t get more effectively from another fulfillment option? Are you direct to customer or are you B2B? There’s more than one need that a fulfillment center can, well, fulfill, and understanding this can help you save a lot of time and hassle later on. Will this require its own facility and equipment? 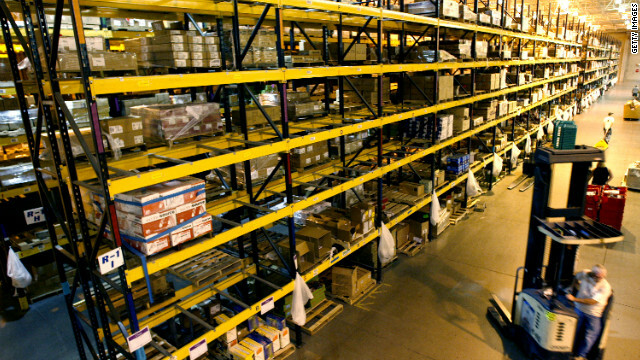 One of the most costly aspects of running a fulfillment center is the facility itself. If you already operate a warehouse, you may be able to convert some of your facility into a fulfillment area to help track shipments and handle any kind of outbound processing, complete with its own warehouse shelving to hang onto shipments and outbound items. Otherwise you might have to look into getting an external facility either through rental or purchase, or even building onto your existing warehouse to have sufficient room. How will this facility be staffed? Finally, all the shelving and business plans in the world aren’t going to be much help if you don’t have the right crew to handle your fulfillment. Do you have staff that can handle outbound shipments and item fulfillment or will you need to get a separate crew to do your picking and shipping? Can you train your current crew or are you expecting a high enough volume to require new hires? Hopefully if you can answer these questions you should be ready to get started on your new fulfillment center, whatever sort of need it’s going to fill. As in my opinion, Firstly, It is very important to identify that how many competing companies exist in market. Is there a place for a new business. Secondly, put the business plan on paper and that is very important step for new business. The best way is to take out time to write a business plan , marketing, strategy and forecasts. Thirdly and most importantly never get afraid by failures. The famous saying “The greatest barrier to the success is the fear of failure” is actually true. So do not let the fear of failure prevent you from success. Fulfillment centers can be of two types. Dedicated and multi fulfillment centers. Depending on the client the company can provide with both of them. Its great information and gives a detailed description of the centers one can operate.